In the survey "Which shift is serving and protecting the most excellently?," A Shift won in a landslide. Congrats. Your commitment to excellence is excellent. "How should the SFD decide who gets the new engines? "The survey is on the right sidebar. Have your say. It will make you feel good. 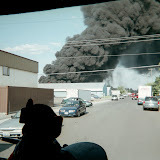 NARRATIVE: On January 23rd, 2008 at 8:41 A.M. the Spokane Fire Department responded 3 engine companies, 1 ladder company, 1 pumper ladder company, 1 rescue unit and 2 battalion chiefs to a report of a garage fire located at 4314 N. Stevens. Fire crews found a garage behind a home that was well involved in fire. A knockdown of the fire was successful and was achieved after 10 minutes. A live power line had dropped during the fire and the area was cleared out in order to isolate and protect civilians and firefighters from electrical shock. The Avista Company arrived shortly and shut down the power. The structure and its contents sustained heavy fire damage. The cause of this fire was an improperly discarded cigarette inside the garage. There were no injuries to civilians or firefighters. A total of 21 firefighters responded to this fire. PROBABLE CAUSE: An improperly discarded cigarette. DAMAGE EXTENT: The wood frame garage and contents were severely damaged by the fire. NARRATIVE: On 1/23/09 at 5:51 PM the City of Spokane fire department responded 8 fire apparatus 27 Firefighters and 2 command personnel to 1906 West Pacific for a reported fire in the Mary Manor apartments. Fire companies from Station 4 on arrival reported smoke showing from one of the lower apartments. Attack leads were advanced into the apartment and a quick knock down of the main body of the fire took place. Crews search the upper floors and lower floors for any residents that were not accounted for. Other crews checked the apartments above and adjacent to the fire room for any fire extension. The fire was contained to the kitchen and declared out in about 15 minutes. Overhaul took about one hour. Once the smoke was cleared out the residents were allowed to return to their apartments. There were no reports of any injuries. Fire investigators were called to the scene and it was determined that this was an accidental fire. On adult male was displaced, Red Cross was notified. PROBABLE CAUSE: Accidental , kitchen fire. DAMAGE EXTENT: KItchen was burned out. Smoke damage through out. Give a little because the climbers are going to give a lot! Don't forget to take the survey in the sidebar: What shift is serving and protecting the most excellently? There is more to it than shift pride. There's seeing if this survey dealio works. NARRATIVE: On 01/18/09 at approximately 1834 hrs units of the City of Spokane Fire Department responded to 1317 S. Lacey upon report of a structure fire. First arriving fire department units found smoke coming from a 1 ½ story, wood-frame, single family structure. Crews advanced a pre-connected hose-line through the front door to the rear of the first floor of the structure and found fire within a kitchen wall. The wall was quickly opened up and the fire was quickly extinguished. At the same time other fire crews were busy completing tasks such as: checking the second floor of the residence for fire extension, laddering the roof in case ventilation in that area was necessary, placing tarps in various areas of the residence to protect the tenants personal items from smoke and water damage, as well as overhauling the fire area to detect potential hidden fire. A total of 27 firefighters on 10 apparatus fought this blaze. No injuries to either firefighters or civilians were reported. Two adults and one child lived at the residence and escaped the residence unharmed. Firefighters were on this fire scene for over two hours. PROBABLE CAUSE: The cause of the fire is currently under investigation but appears to have started inside a wall in close proximity to electrical wiring. Fire investigators will have more on the cause of this fire in the near future. DAMAGE EXTENT: . Fire damage was confined mainly to a first floor kitchen wall and the adjacent bathroom, with minor fire damage evident in the attic above these areas. Minor smoke damage was also evident throughout the residence. NARRATIVE: On 01/19/09 at approximately 2332 hrs units of the City of Spokane Fire Department responded to 2319 E. Springfield upon report of a structure fire. First arriving fire departments units found a one story, wood-frame, single family residence heavily involved in fire. Approximately one half of the main floor was on fire as well as nearly the entire attic. Initial crews advanced pre-connected hose-lines to attack the fire on the main floor. After that fire was knocked down firefighters concentrated on attacking the fire in the attic. This task was made extremely difficult by the heavy construction of the ceiling materials, making access to the attic a time consuming process. While several crews battled the fire other members ventilated the roof, protected nearby buildings, and opened up areas that may conceal hidden fire. Initial fire crews were on scene for approximately 3 hrs, with other crews to be on scene the rest of the night. Two occupants were home at the time of the fire and both escaped safely. Twenty-three firefighters on nine apparatus battled this blaze. No injuries were reported to either firefighters or civilians. PROBABLE CAUSE: This fire is currently under investigation and the cause is undetermined. Fire investigators will be back on scene in the morning to continue their efforts to determine the fire cause. DAMAGE EXTENT: The home is considered a total loss. Significant fire damage is evident to the south half of the main floor and to a major portion of the attic. Areas not damaged by fire have suffered smoke and/or water damage. Total dollar loss may be $100,000. Editor's note: This appeared in this month's union newsletter - WORKER, this month. We thought it would be good to share with others what Paul heard at the conference. Do your job when at the station. Leave your day off work at home. Do you spend as much time at home doing fire department stuff as you spend at the station doing day off work? 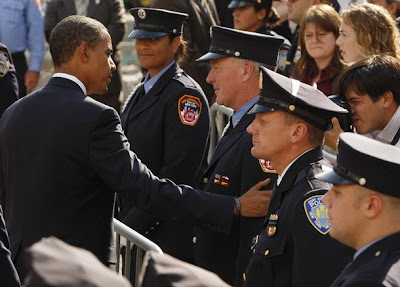 If upper management lacks leadership qualities, look to other officers or firefighters for guidance. Rank is not an automatic that brings leadership skills or qualities, although some chiefs think it does.